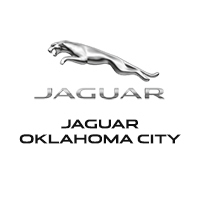 Jaguar Oklahoma City is pleased to announce that the brand new Jaguar E-PACE will be pulling into our inventory early in 2018. This brand new vehicle will be the second performance SUV in the Jaguar PACE lineup, combining a sports car-like design and performance with the everyday practicality of a compact SUV. Get a sneak peek at what the new E-PACE will have to offer and stay tuned for more updates, coming soon. The 2018 Jaguar E-PACE will be joining Jaguar’s lineup of PACE SUVs alongside the Jaguar F-PACE. Estimated starting MSRP is $38,000. Prepare to experience a new kind of crossover SUV with the release of the 2018 Jaguar E-PACE. Fill out the form below to request updates and learn more about this up and coming performance SUV.